What’s the etiquette, when thanking your bridal party? Blog What’s the etiquette, when thanking your bridal party? Buying gifts for your bridal party is a traditional part of your wedding day, as is presenting those gifts to the recipients during your meal or reception. Gifts are given to those people you wish to thank, for either taking a part in your wedding day preparation or having a role on the day – but who do you give gifts to and what’s the etiquette behind them? Who do you need to buy presents for? Traditionally, gifts from the happy couple were bought by the groom and given to show appreciation for the help and support the recipient has given both couples. It’s therefore understandable, that the bride’s parents are top of that list. The other key roles are then thanked – Best Man, Maid of Honour and bridesmaids. The more modern tradition is to thank those people above, as well offering a gift to thank other people involved in the big day – the groom’s parents, ushers and groomsmen, page boys and flower girls. Although it’s traditionally the groom’s role to purchase gifts for the bridal party, it’s common now for both the bride and groom to do this together. This is understandable, considering the bridal party will consist of people either the bride or groom will know better than the other, so having their input in the thank you gift, is a smart move. When it comes to purchasing the right gift, price isn’t everything. In fact, it’s more important that the gift is something that can be kept for a long time, to remind the receiver of the part they played in your big day. This is why personalised gifts are a great idea. Whether you opt for personalised, engraved gifts or gifts that are personal to the recipient, personalised gifts show you’ve taken the time to choose well. Not only are they tailored to the person receiving them, they’re also a token of that closeness and friendship bond they share with the happy couple. We wouldn’t usually leave anything expensive laying around unattended, but on a wedding, we tend to leave a lot of expensive presents and even money, unattended! If you’re having your reception at a hotel or similar, ask them to provide a gift attendant for you – someone who receives and checks off the gifts for you, before storing them somewhere secure. If your gifts are out on display, they’ll also stay at the table, ensuring nothing gets lost during your big day. 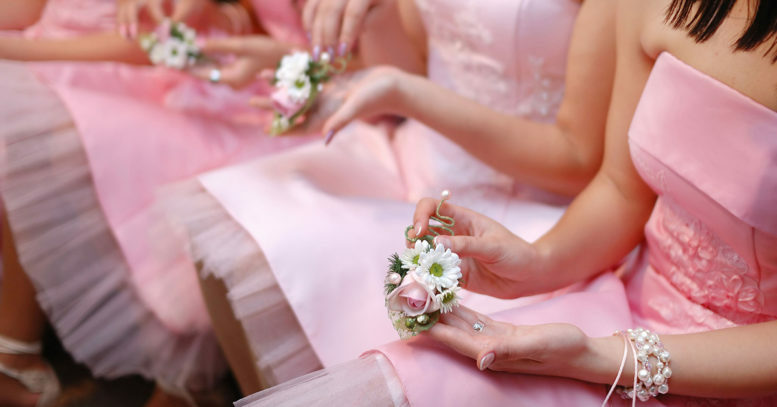 Buying gifts for your bridal party isn’t an essential part of the ceremony, however it is a nice touch – budget allowing. If you’re on a limited budget, you can take the advice above to narrow down your selection of recipients and to help decide whether you want the expense of adding thank you gifts to your budget – or if a simple verbal ‘thank you’ will be sufficient for the recipient.